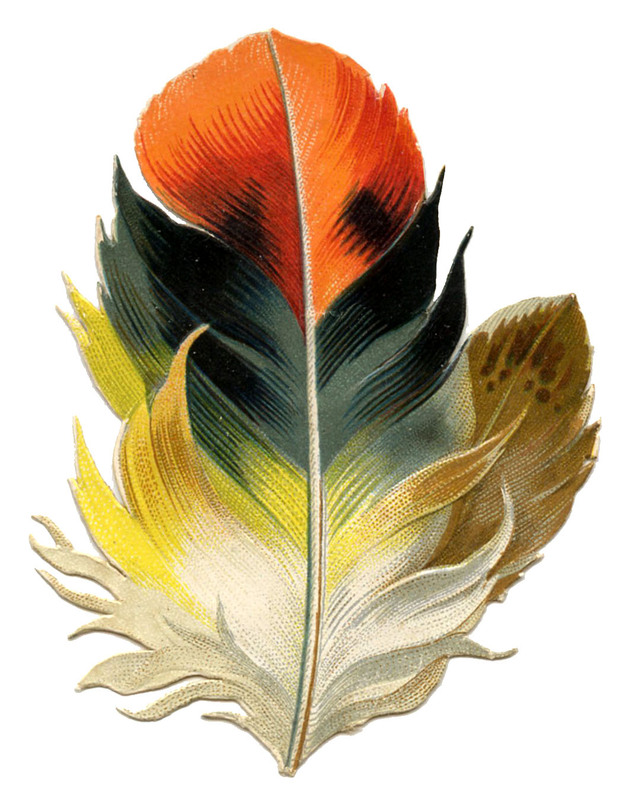 Today we have an impressive collection of 9 Feather Images – Vintage Scraps! All are Free for you to use. The images featured below are beautiful and colorful Feather graphics. We have some peacock feathers along with some brown birds of prey feathers. 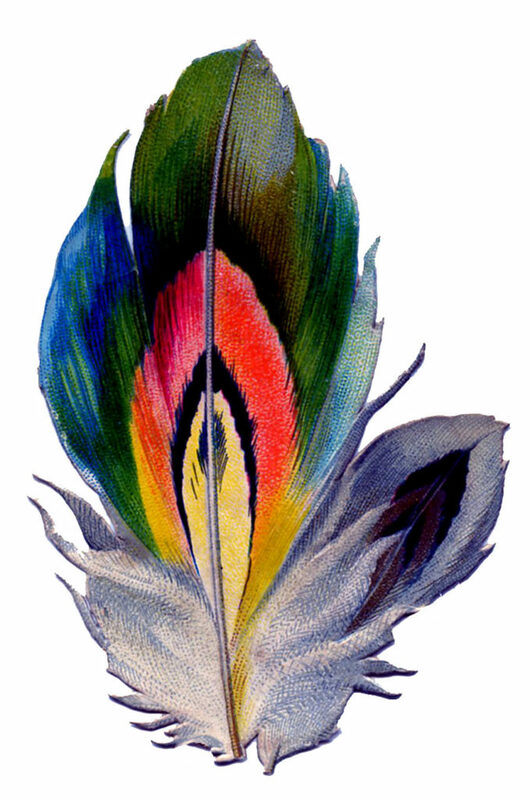 Then we have an array of feather plumes with some brilliant colors and ombre looks. 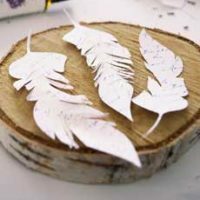 All are nice feather pictures to use in your craft or DIY Projects. They would all be fun for your Collage or Card Making projects as well! 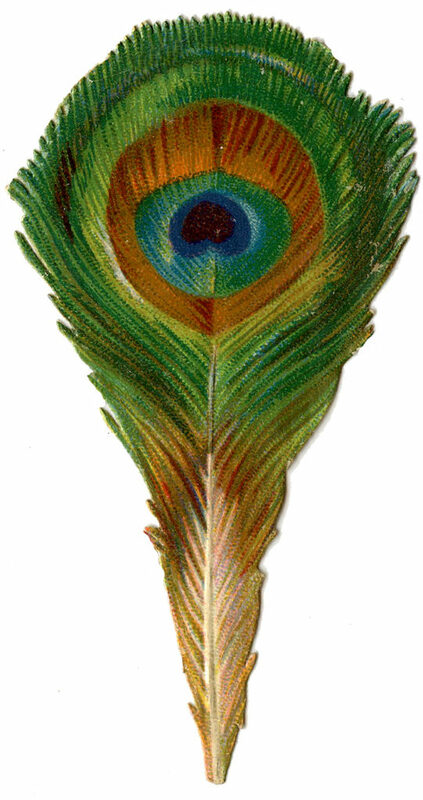 This Peacock feather is another example of the splendid beauty that only nature can provide. Don’t you just love the vibrant colors? I do not think it could possibly be any more lovely!!! 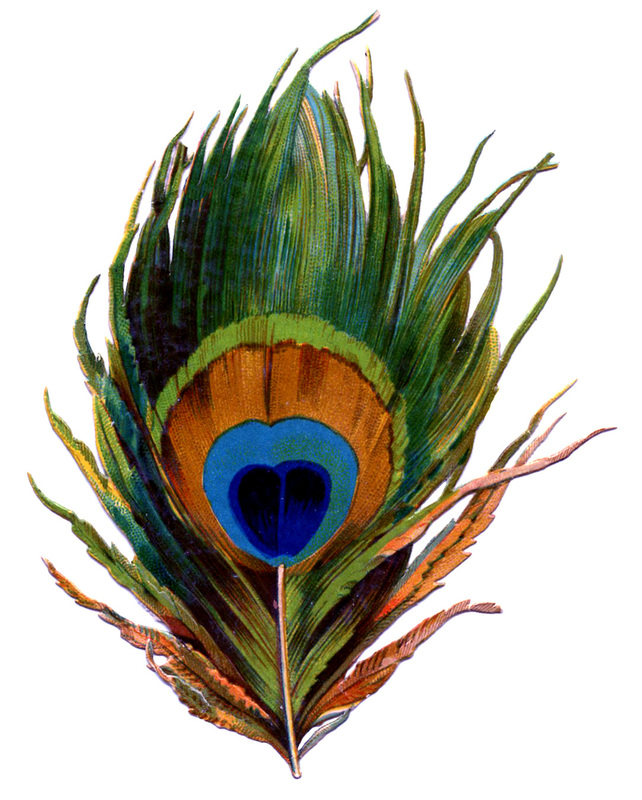 Pictured above is another colorful little Peacock feather. I never get tired of these because the colors are just so fabulous! I hope that you can use this in your Art! I am not sure which type of bird this belongs to. It has Peacock like colors so, I am including it in this section. It displays striking vivid bright colors that are truly amazing! Shown above is a wonderful Vintage Feather image! 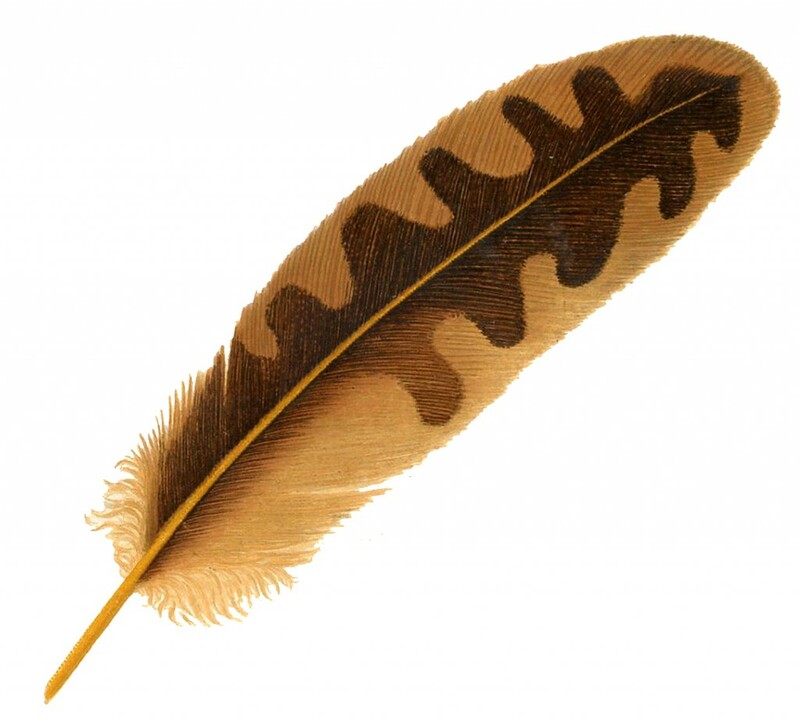 This ‘Birds of Prey’ feather has brown tones, both light and dark, and it has some lovely markings on it. I would love to know the bird it comes from. I like the fluffy looking bits at the base of it as well. 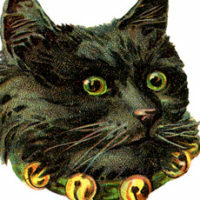 I found this one on an Antique Advertising card, it’s not technically a “Scrap” but I thought it fit in well with this collection. This Antique Feather Scrap Piece is a nice Striped one. It looks like a hawk feather to me. I really like the natural tones on this! 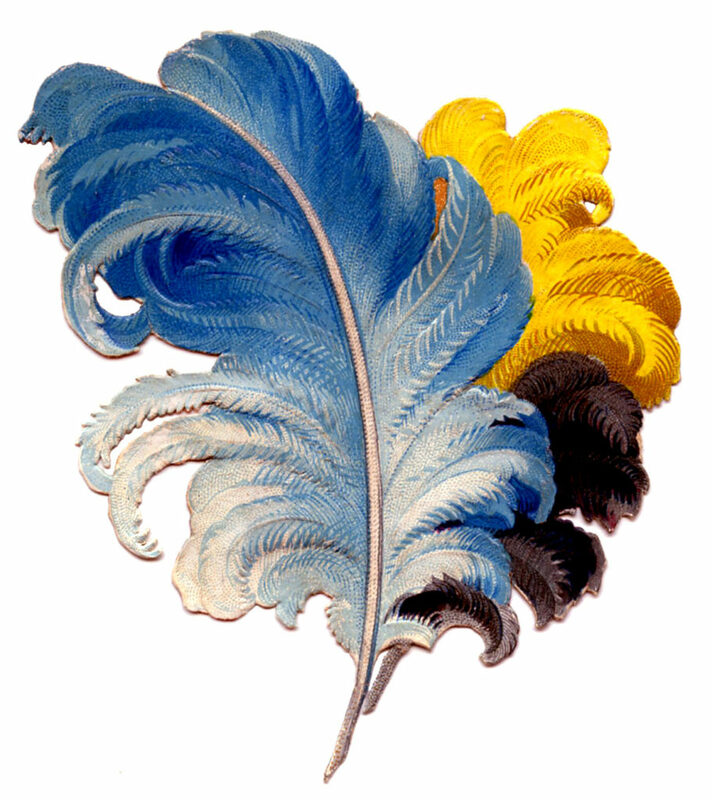 This amazing Victorian scrap feather image shows some delightful Ostrich Plumes in bright beautiful Blue and Yellow! It almost looks as if it has a touch of ‘royalty’ to it! I also think it exudes quite the romantic look! 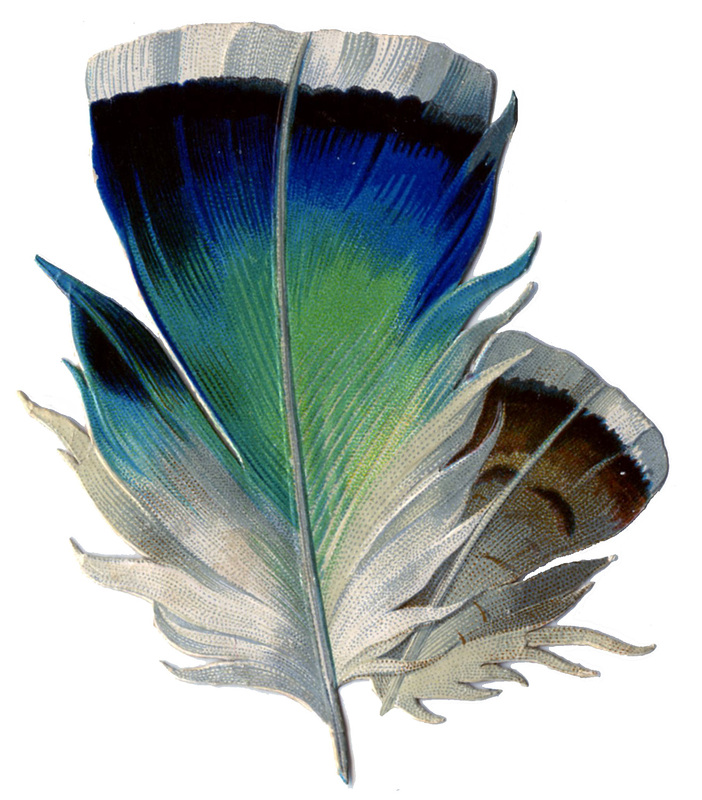 Here we have another Victorian Scrap Feather image!! I just think these are so fun! This one has some speckled spots on one side and bright Orange on the other. There is a smaller feather peeking out from behind it. It has such a wide array of patterns that is truly captivating! I’m sorry to say this one was scanned at a low resolution many years ago, when it first appeared on my blog. I’m sure I still have it, once I locate it, I will update this image with a higher resolution version. Wow! 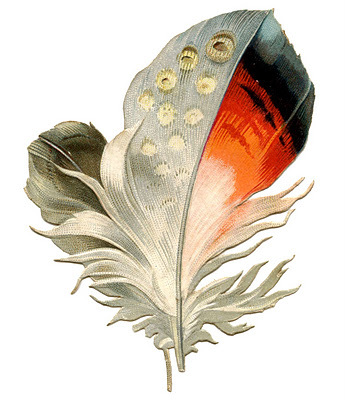 This is yet another beautiful Victorian Scrap Feather graphic! I just love the stunningly beautiful colors here. 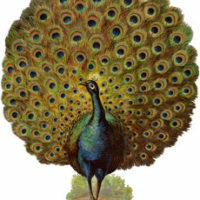 The gorgeous Peacock Blue and Green along with a second Feather behind it drawn in shades of brown provides an amazing image! Isn’t this a beauty?!! This fabulous Feather above is a magnificent Victorian scrap piece. I think these colors are just right for Fall! The orange and black colors at the top actually have a bit of a Halloween feel from my viewpoint! 6 Vintage Cat Images Free -Scraps DIY French Script Paper Feathers Project + free printable! Spectacular Vintage Strutting Peacock with Fan Tail Graphic! « Herb Tea Mixed Media Gift Card – Mother’s Day! You have so many lovely illustrations of nests with birds and/or eggs in them. I am looking for art of an EMPTY nest–preferably line art. Thanks for any help you can give! I’ll see what I can find Sarah! Thanks for the suggestion, I’m sure other people would find that useful too. Love this beautiful feather! Thank you! The feather is truly beautiful Karen, I have another feather in color you provided us. think I’ll make a transfer out of both to put on pillow slips and a table runner I’m making and think I’ll put them on pillow covers with a nest beside it. Thanks so very much. I love those ideas JaneEllen!! Karen, you are amazing! You are so good to us, with the quality and variety of downloads you share. Thank you so much for what you do! I look forward everyday to new goodies in my mailbox! Hello Im new to your site,im drooling over pics id like to copy/transfer to furniture .I cant seem to open any of the pictures! ugh ! I click where it says to & then nothing! Do i have to have an account?? Hi Pam, No, you don’t need an account. I’m sorry you are having trouble! Are you clicking on the picture itself, or are you clicking on the words “click image to enlarge”. You need to click on the actual image/picture, not those words. I hope that helps! You are very welcome Christine, I’m glad you like them!